Oodles of pink flowers in spring! What’s not to like about a Profusion Crabapple tree. 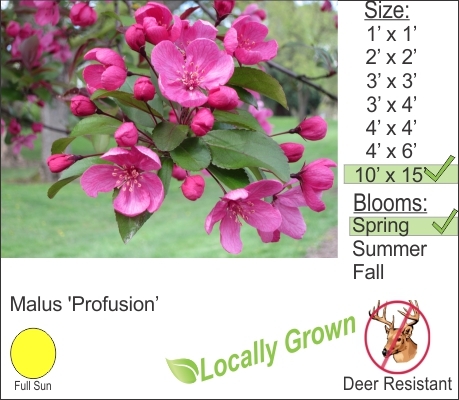 Easy to maintain with a brilliant autumn color this disease resistant variety of crabapple grows well in upstate New York.